This is simple and straight forward fun! Don't waste time and nerves with configurations, just switch it on, play and have fun. 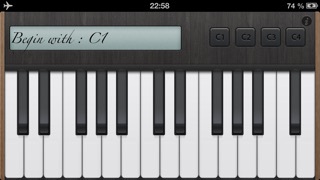 Change sounds as you like them, transpose notes and shift the keys.